Extremism is relative. Depending on where someone stands on any social, political, or cultural spectrum they’ll view anyone “too ideologically distant” as an extremist. But this perspective has its shortcomings. Many members of the LDS Church cling tightly to the teaching to be “moderate in all things” but confuse the phrase’s origin and proper applications. This teaching is found nowhere in LDS canonized scripture, not even in D&C 89 where most members attribute the phrase to come from. The teaching to be “moderate in all things” actually roots itself from Aristotle’s Doctrine of the Mean, which teaches that a virtue lies in the middle of two extremes. The problem is that “extremes” shift at the whims of society but the gospel of Christ is a sure foundation and is immovable. In the few cases where LDS prophets have used that term they were referring to living a balanced life- the balance, of course, being with the best things in life. Being “moderate in all things” does not mean that people should approach all things, healthy and unhealthy, with moderation. Many members use half-truths such as “moderation in all things” and “avoid extremes” to justify their viewpoints or to criticize others. The truth is- being moderate in all things doesn’t mean that people should compromise, or shift to the middle of every controversy that exists in society. Truth and righteousness are extreme notions to a society who love to follow Satan. Outside of the Church society views the Church’s teachings as extreme. This isn’t justification for members to shift their standards to meet halfway with the world. In every dispensation those who have preached the truth have been perceived as extremists. 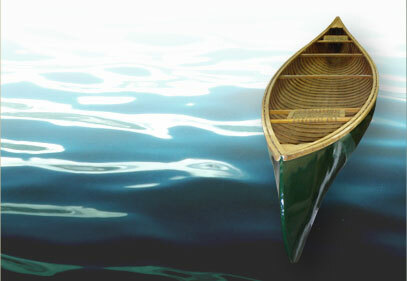 Perhaps Noah should have met the Lord and the world half way and just built a canoe. No one would have made fun of him or perceived him as an extremist. Perhaps Jesus should have refrained from proclaiming himself as the Son of God and the Savior of the world. After all, these proclamations were seen as extreme to most people at the time. Perhaps Joseph Smith should have kept silent about his experiences with God and angels in order to avoid controversy. Perhaps the Church should “get with the times” and start allowing homosexuals to marry in their temples. If the path to salvation is straight and narrow then who are the real extremists? The one’s clinging to the iron rod or the ones making fun of them (1 Ne 8)? If someone really believed there is only one Lord, one faith, and one baptism (Ephesian 4:5) then wouldn’t an eternal perspective make them completely uninterested in the judgments of man? …the world hath hated them, because they are not of the world, even as I am not of the world (John 17:14). People take the moderate position because, to them, it’s safe. It’s uncomfortable and embarrassing to be perceived as an extremist. So rather than take a stand on moral ground they compromise their principles and values to accommodate the most amounts of people. I suspect these could be some of the same cowards that Jesus said- because of being lukewarm, that He will spew them out of His mouth (Rev 3:16). The question boils down to this: Who do you fear perceives you as an extremist? Those who fear the world are obsessed with pleasing it through compromise and moderation. Those who fear the Lord and act accordingly are not extremists to God. For thou art an holy people unto the Lord thy God, and the Lord hath chosen thee to be a peculiar people unto himself, above all the nations that are upon the earth (Deut. 14:2). Great posts! I appreciate your use of technology to spread light & truth! I’m looking forward to future posts.